Georgia's top attorneys are naming names and Weinberg Wheeler Hudgins Gunn & Dial is among them. 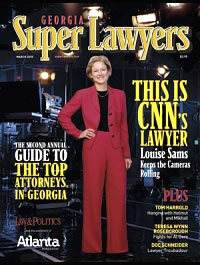 More than 24,000 attorneys were asked to name the best of their peers in Super Lawyers' survey. The extensive balloting, research and blue ribbon review process revealed nine Weinberg, Wheeler attorneys in the top five percent. The WWHGD Super Lawyers for 2005 are Ben Weinberg, Sid Wheeler, Skip Hudgins, Billy Gunn, David Dial, John Flynn, David Larson, Bob Tanner, and Kevin Williams. Atlanta magazine and Law & Politics magazine, organizers of the annual survey, asked voters to choose colleagues they had personally observed in action, rather than voting for others based on reputation alone, and many precautions were taken to ensure a fair selection process. From researching credentials to keeping track of who voted for whom, officials took extensive steps to produce an accurate list of the state's top attorneys.